According to recent data, the trend of remote working continues to grow at a strong pace in the U.S. In a recent Gallup poll 43 percent of employed Americans stated they had worked remotely for a percentage of the year, this is up dramatically from the 1990s where that figure was under 10 percent. Advocates for remote work highlight the benefits including increased worker productivity, diminished commutes, less stress and reduced workplace distractions; and there is plenty of research to back this up. But with any work style there comes trials, and as leaders, we need to own these challenges and create opportunities. Research shows most remote employees communicate most the time through electronic tools like email, text and phone. These methodologies provide high speed communications, around the clock access to national teams and a good trail of work. With the benefits, a reliance on electronic communications can also become a trap. Everyone is busy in today’s workforce, lean organizations, tighter budgets demand employers and employees work more with little letdown. Even in most businesses, seasonal fluctuations have gone by the wayside. For many managers with remote employees, it is easy to focus on work and organizational deliverables and fall into the trap of losing the people side of managing a team. We have all seen in the traditional office setting the leader who never leaves their office and seldom manages by “walking around,” leaving team members in the dark on performance, team camaraderie and general recognition of successful work. This model more easily manifests itself in a remote setting, whether it is across the world or town. Busy leaders will sometimes find themselves only connecting with remote teammates when they need something or carrying bad news; not often taking the time to listen, coach, recognize and encourage employees. There are also employees who struggle with remote work — it is not for everyone. Some individuals find energy and innovation in the solidarity with other team members or the physical construct of an office environment. For team members who are extroverts, coming into a empty workplace every day from a teleworking team and can be an energy drain and even demoralizing. 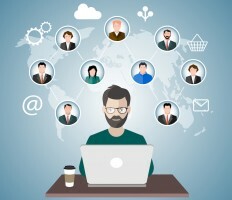 So how do best of class managers and employees succeed in the remote working world? Even if you don’t see people in person, they are people. There are thousands of management studies and books the effuse the reality of people needing feedback, performance management and engagement to be high performing employees, telework is no different. Performance measures are important to help both managers and team members. Taking the time understand performance goals, schedule, productivity parameters and collaborative responsibilities will assist remote workers and managers in gauging performance, as well as engage employees in the process of success. A regular schedule of communications that is flexible and personal. 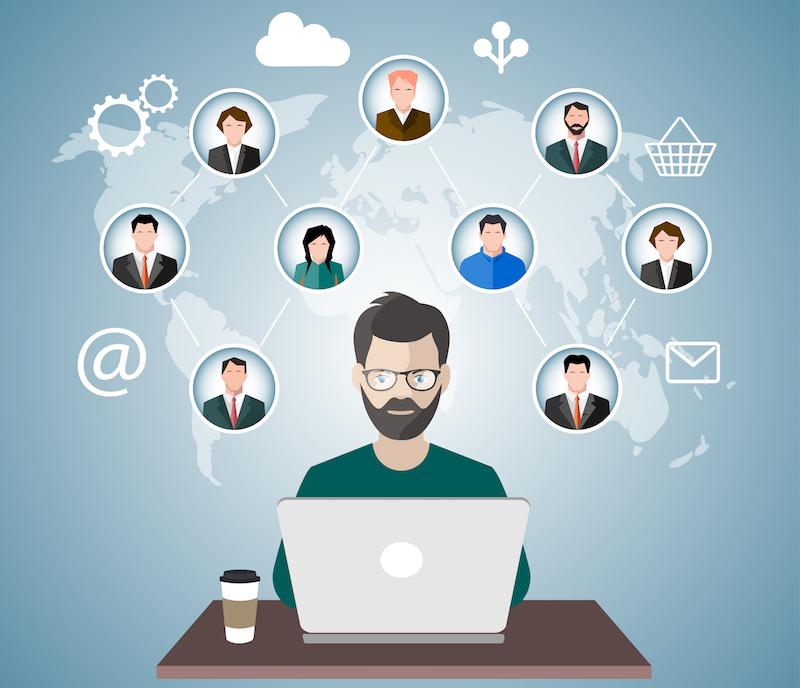 Managers must commit to personal engagement with remote employees other than on just work tasks. Employees in a traditional office setting find it easier to “read” co-worker behaviors to assess whether an employee is becoming disengaged or feeling disenfranchised by the organization, the task is much harder with a remote workforce. Managers must acknowledge that those calls containing positive feedback, regular coaching and general check-ins are a part of the business. Many leaders fail to do this as they wrestle with their workloads, great leaders will find a way to manage both, through delegation, triage of work or other methods. An email or text “checking in” doesn’t meet this standard, keep that in mind. Setting parameters around response times to emails, texts and phone calls. Several research pieces show that remote employees work more hours on average than office-bound workmates. But, especially in teams that span multiple time zones or even the globe, the ability to turn off and have a non-work life is critical. Team members of all stripes will face burnout eventually if on the clock 24/7/365. Plus, it puts a significant burden on families and relationships. If you have young children, scan the crowd at the next event you attend, see how many adults are engaged in what is occurring versus staring at a screen. Find ways to celebrate success. In the office setting, good leaders manage to incorporate little recognitions like a pat on the back or big ones like award ceremonies. Personal and team recognition is much harder in a remote setting, finding ways to celebrate success is a challenge which must be embraced collaboratively. Make every regular conference call among the team a chance to highlight some success, even if small. Find ways to recognize workers with positive rewards that align with their personal interests if doing so remotely. Organizations of all types are embracing remote work as a tool in today’s workforce, if you are one of those leaders you must plan for success and execute that plan. The tendency to fall into the traps of out of sight – out of mind are high with a remote workforce, don’t let that trap catch you.